Rev Chu Yiu-ming is one of the founders of Hong Kong’s umbrella movement. Yesterday he read his mitigation letter, moving those present, hoping “consciences may wake up”. Two other movement co-founders, Benny Tai and Chan Kin-man, have asked that the 75-year-old pastor be spared prison. 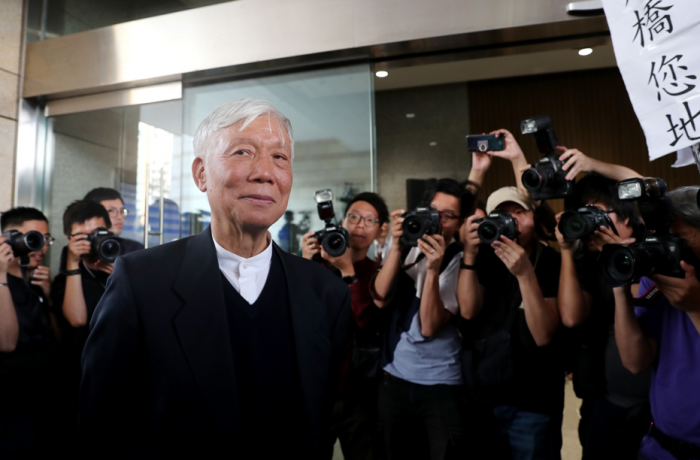 Hong Kong (AsiaNews) – “Yet … my heart tells me that with this defendant’s dock, I have found the most honourable pulpit of my ministerial career,” said Baptist Rev Chu Yiu-ming, one of the founders of the Occupy Central movement. 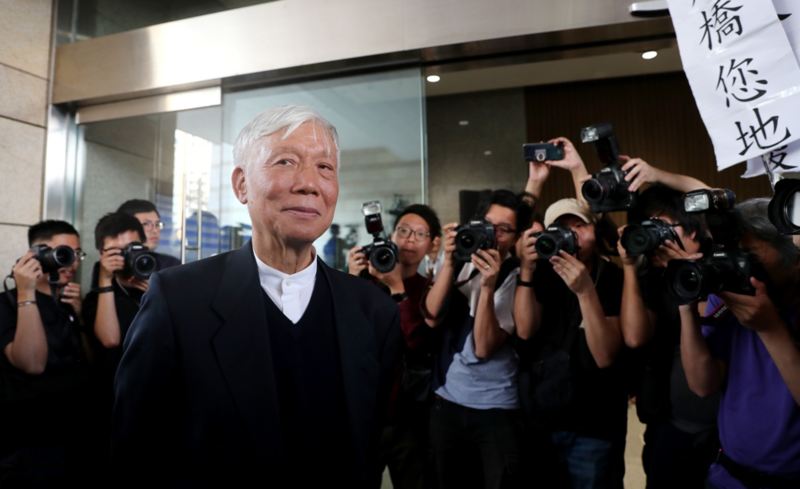 A Hong Kong court found the clergyman and eight other activists guilty of conspiracy and public nuisance, with sentencing to be pronounced in two weeks. Meanwhile, all nine were granted bail. Yesterday, in his mitigation statement, Rev Chu described the reasons for his action. Orphaned, he became a clergyman and got involved in the struggle for democracy for decades. Now he stands guilty of public nuisance. Many people who were present at the event wept. In his submission, Chu says that his training as a clergyman had taught him to always walk the extra mile alongside the people and to nurture hope. For this reason, he helped develop the pro-democracy movement using civil disobedience. The two other Occupy Central co-founders who stood with Rev Chu, academics Benny Tai and Chan Kin-man, did not submit any mitigation letters; they only asked the court to spare Chu time in jail.